After the 2016 presidential election, students and faculty in CCA’s graphic design program were eager to respond—to use the power of design to move minds, inspire action, and bridge divides. Besides making work that expressed their own opinions about the new political landscape, the students wanted to create a forum that would enable others to express their opinions. 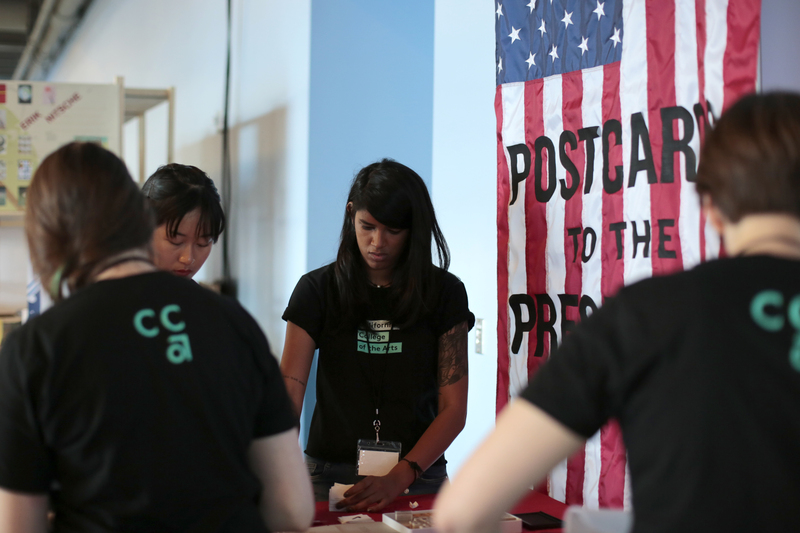 In February 2017, members of CCA’s AIGA student group created Postcards to the President, a station where anyone could create a postcard to send to the President, free of charge. 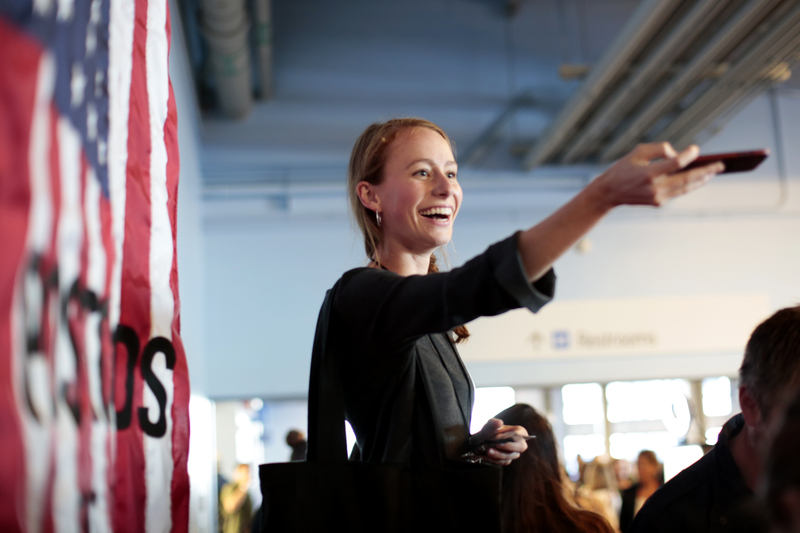 The station was a big success, and they recreated it for SF Design Week, exhibiting alongside companies like Airbnb and StubHub, and connecting with 4500 Design Week participants from the Bay Area creative community and beyond. 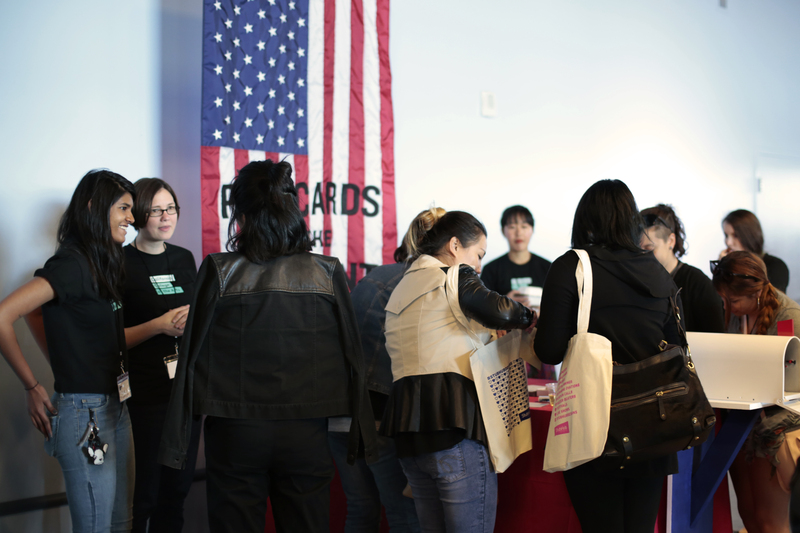 Throughout the opening night reception, visitors swarmed the students’ postcard station, using rubber stamps, markers, and other supplies to craft hundreds of creative and powerful messages to President Trump, Vice President Pence, and state and local leaders. 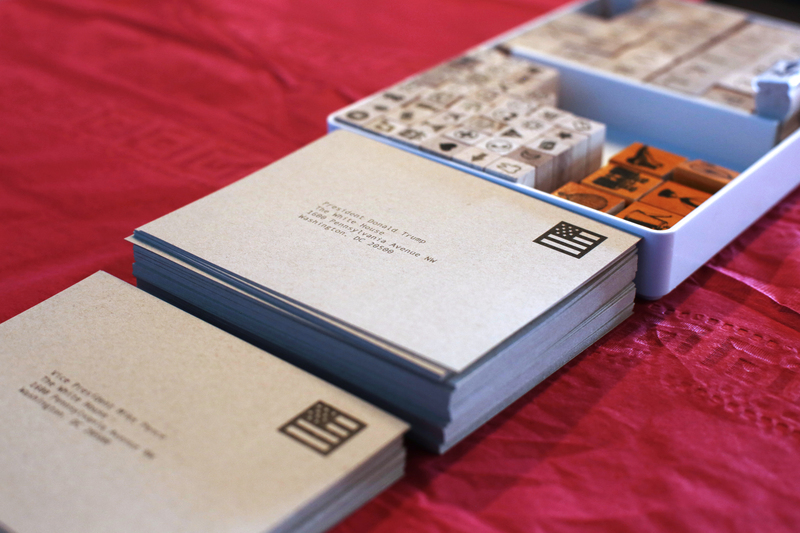 Lexi Hager, a senior graphic design major, described the experience in this way: My favorite thing about Postcards to the President was the accessibility of it. It gave students and members of the community an outlet to express the way they felt, and I don’t think there are enough outlets like this. I was excited to extend this channel to more people. Most everyone has something to say to the President of the United States. Nino Panes, a student in CCA’s MFA Design program said: I love working with people from school that I would have not otherwise have been able to interact with. 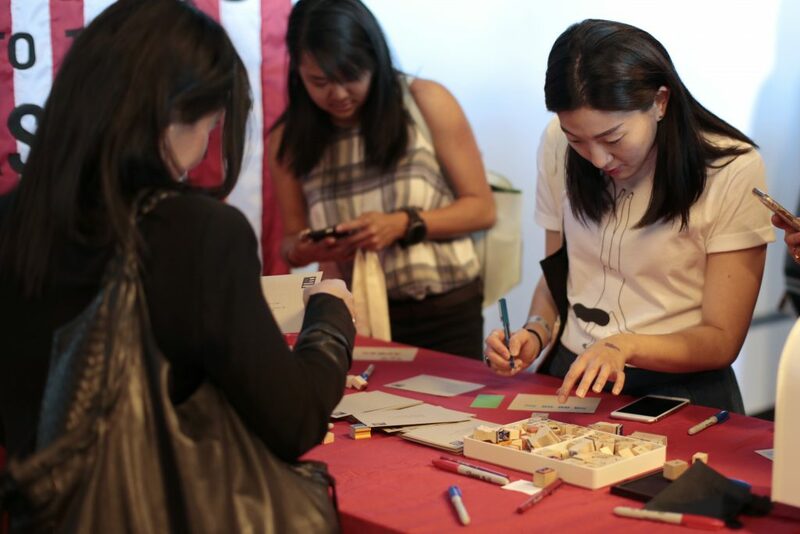 We had an especially interactive booth at the event, so a lot of people really took their time and enjoyed writing to the President. SF Design Week on July 25, 2017 .